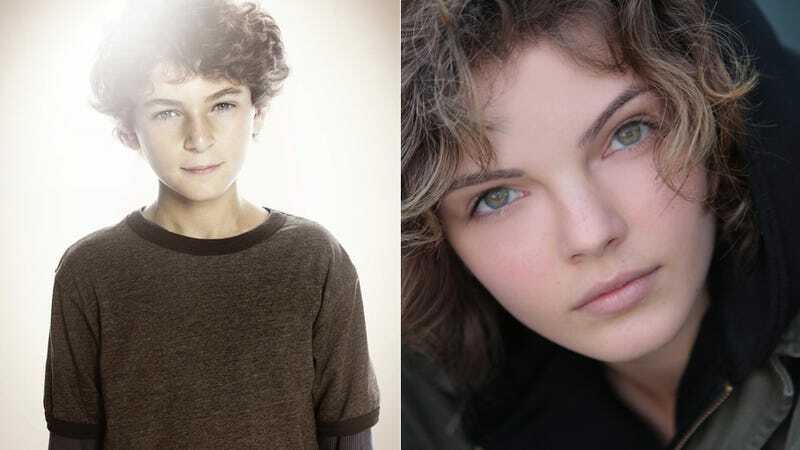 Warner Bros. has announced David Mazouz and Camren Bicondova will play preteen Bruce Wayne and the 14-year-old cat burglar Selina Kyle in Fox's Batman-less Batman series Gotham. Try not to think about how their characters will be boning each other on rooftops 10 or so years from now. David Mazouz (Touch) has been cast as the preteen Bruce Wayne, sentenced to a solitary life after the tragic murder of his wealthy parents. Serious and soulful, young Bruce relies on the guidance and protection of Alfred Pennyworth and James Gordon. Acting newcomer Camren Bicondova has been cast as Selina Kyle, a teenage orphan who is suspicious and wholly unpredictable. A street thief and skilled pickpocket, she's dangerous when cornered. YEAH, WE KNOW. YOU DON'T NEED TO KEEP REMINDING US OF THE SHOW WE WISH YOU WERE MAKING INSTEAD OF GOTHAM, JERKS.